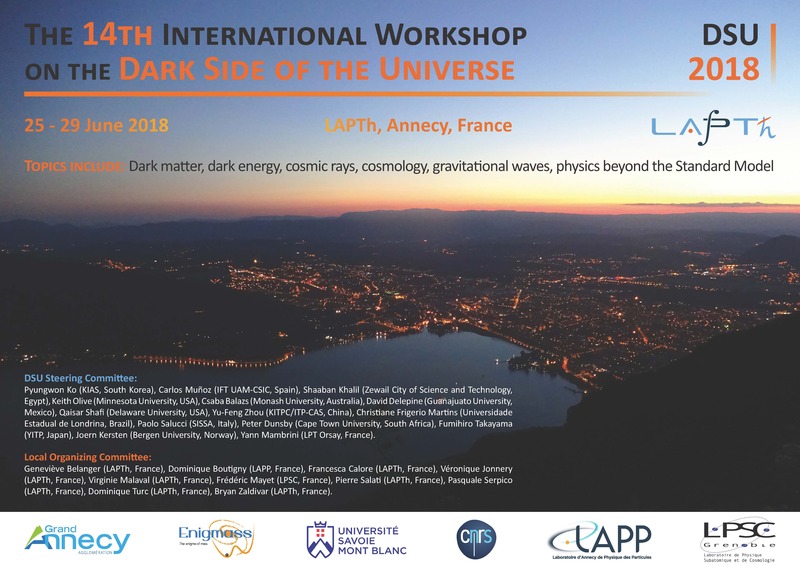 The Conference will take place in the auditorium of LAPP/LAPTh, 9, Chemin de Bellevue, 74940 Annecy-le-Vieux. The laboratory can be reached by public transport, see below, or by car see ‘Travel’ in the menu. The preliminary programme will be posted soon on the Workshop indico page. Speakers are expected to upload their talk or provide it on a USB-stick to the session organisers. Please make your hotel reservation as soon as possible, Annecy is a prime destination for tourists and hotels are filling up. There is also a wide choice of short term apartment rentals. Please note that there are also strikes at Air France, fortunately the closest airport to Annecy is Geneva. It can be reached by bus. If you prefer to use a taxi, you have to reserve in advance, for both options see the instructions in the Travel menu. LAPTh can be reached by public transport from the old town in Annecy, take bus no2 or no 4. Single bus tickets (1.4Euro) can be bought from the bus driver, else booklets of 10tickets (10.85Euros) can be bought from Sibra office (across the street from the train station) or other selling points (e.g. bar-tabac shops, for a list see https://www.sibra.fr/en/points-de-vente). It might be possible to arrange day care or occasional baby sitting – please contact Bryan Zaldivar (zaldivar@lapth.cnrs.fr) for a few tips. Unfortunately day camps for children are not available on the week of the Conference as school is still going on. The social dinner will take place at Espace Lac in Talloires on Thursday, it cannot be reached by public transport. We have arranged for buses to leave from the Conference Site at 7pm, the only alternative is to drive (or follow the cycle path for about 15 km). Two excursions are planned on Wednesday afternoon, you will be asked to sign up for these at the registration desk. Dragon Boat session on Lake Annecy – an introduction to dragon boating with top instructors and an opportunity to see the Lake from a different perspective. No experience required. Minimum number of participants: 30.